About Dunstan M. Message Dunstan M.
Thank you to this wonderful guide,Dunstan.You made my trip to Kenya amazing and unforgettable. Thank you for giving me a good itinerary for my vacation, the safaris in Ambroseli, Tsavo East, Lake Nakuru are the best, seeing Lions, elephants, giraffes and other wild animals in their own natural habitat is unbelievable, the visit to Shedrick wildlife trust and giraffes center is heart warming.I also appreciate Jeff and Pita who drove us to safaris safe. TOUR GUIDE RESPONSE: Thanks for your feedback much appreciated,yes he enjoyed the tour very much with me. Dunstan was very helpful through out the planning and execution of the hiking trip. The taxi charge for the airport pick up and Chogoria gate pick up (30USD each) was slightly on the higher side. Chiefstun alias Chief - my guide and cook for the hike is one of the best i have hiked with. He is experienced, very friendly through out, I thoroughly enjoyed the entire experience with his guidance. He motivated alot to reach the summit ! I would highly recommend this team to my friends in the future. Dunstan and Jeff are extraordinary guides and we cannot recommend them enough. They were highly informative and enthusiastic, careful of our safety, very punctual, and at the same time gave us the privacy we needed when not on a game drive. They also worked hard to ensure that we saw as many of the Big Five as possible, and filled us in on cultural details about their beautiful country and its very welcoming people. Hard to imagine more easygoing and comfortable guides than Dunstan and Jeff! Dunstan, is very personable, accommodating and knows his city. Dunstan immediately replaced a vehicle that was uncomfortable for our group with another one. We had fun answering questions about about animals and learned about Mombasa. Dunstan went out of is way to accommodate our requests. He was helpful with getting in and out of the vehicle and arranged for a lovely lunch at a nice local restaurant. I noticed only one guide/driver in most other vehicles. In our case, Dunstan and David (Guide and Driver) both accompanied us through the entire tour to assure a memorable trip for us. David is a certified guide who spoke good English, was very knowledgeable, pleasant and provided excellent tour. Dunstan stayed with us for the entire trip to help us with hotels and airport transfers. We had a great safari tour. TOUR GUIDE RESPONSE: I appreciate very much,i arranged their tour very well the game drive was great. As first-time customers with Tours by Locals, we were extremely pleased with our guide, Dunstan, and the two days that we spent with him and his driver in Nairobi, Kenya. He took the list of "must sees" that we provided and arranged an itinerary that gave us everything that we asked for...and more! Very friendly and knowledgeable of the area and its history, which is something we appreciated. Would definitely recommend Dunstan and Tours by Locals to anyone visiting Nairobi. TOUR GUIDE RESPONSE: I orginazed their tour very well and enjoyed the tour very much with me. The guides, Duncan and Emanuel were terrific. They did an excellent job of spotting all the animals. All our hotels and meals were good. TOUR GUIDE RESPONSE: I orginazed the tour very well, they have seen all wild animals they expected game drive was very wonderful both kenya and Tanzania Kathy group enjoyed the trip very much. Dunstan and his team were very professional. The trip matched the description in every way and Dunstan was flexible with how we spent our time. We were able to see many incredible animals in the wild and learn more about Kenyan culture. The food was fresh and delicious and the accommodations were good. We would highly recommend Dunstan as a safari guide in Kenya. TOUR GUIDE RESPONSE: Thanks very much for your comment,the tour was excellent and well organized by me we spotted all wild animals also we watched wild beast migration the game drive was perfect in Lake nakuru and Masai Mara also they enjoyed boat ride in lake naivasha. This is our second time using Dunstan and TBL for our unique college study abroad program to East Africa and Mt. 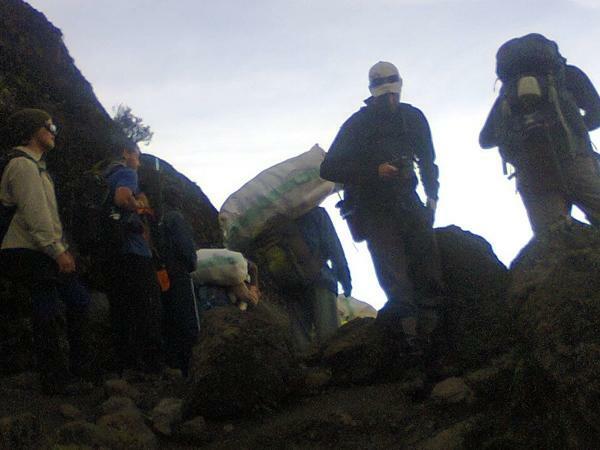 Kilimanjaro and like the first time, they exceeded expectations. As an academically accredited college program in Outdoor Recreation Leadership, our students are trained to work as guides and leaders in the outdoor field. Dunstan is a brilliant logistics coordinator and guide and an excellent addition to our instruction team. Thank you Dunstan! TOUR GUIDE RESPONSE: Thanks Trey,i organized the trip very well And they made all to the summit uhuru peak Kilimanjaro and safari was amazing.game drive was excellent i guide them very well and they enjoyed the tour as per their expectations. Very pleased with the trip that Dunstan put together with only a week notice. I asked for a custom safari covering parks in both Kenya and Tanzania. Dunstan was able to put together a great itinerary in less than a day that covered all the places I wanted to see. Hotels included in the trip were clean and comfortable. Safari was exactly what I wanted. Dunstan has a great deal of experience putting together safari packages, if you have something in mind I am sure he can make it a reality for you! TOUR GUIDE RESPONSE: Thank You,i organized the trip very well and i did well especially in Game drive we have good time to view all Wild animals. TOUR GUIDE RESPONSE: Thank you,the tour was excellent hike Mt Kenya was wonderful and in safari we catched all wild animals game drive was excellent. Dunstan planned out a great 5 day trip for us and adjusted the itinerary to our wishes. The accommodations including Seronera Wildlife lodge and Bougainvilla Safari Lodge provided a wonderful respite from the dusty, bumpy Serengeti and Ngorongoro Crater roads. Emanuel our driver and ace wildlife Spotter was a great addition to our crew and worked diligently to find the more elusive animals. We learned some Swahili from Dunstan and Emmanuel and they graciously put up with our endless photo stops. Dunstan was incredible. His organization and planning were excellent, especially considering this was a complicated college study abroad program including students and faculty, multiple activities and multiple countries. Dunstan also did a wonderful job hiring additional guides, etc. for our time on Mt. Kilimanjaro and on safari. The people he chose were competent and great to be around. We also want to thank Tours By Locals for their wonderful service. They contributed to making this program a success. TOUR GUIDE RESPONSE: Thank you, the trip was well organized and we did well especially on hiking to the to point Uhuru the summit .Trey Shelton has good leadership qualities and he did good job organizing the students trip.